Week #18 – So, you’re the GDPR expert, right? 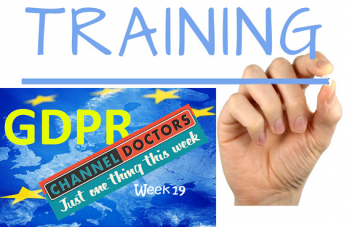 Week #18 of your preparations for the GDPR (or the planned Data Protection Act 2018 in the UK) and its impact on your organisation’s customer experience. So, how’s it going? My guess is that – unless your organisation has a strong Compliance function, which had already done plenty of planning for the GDPR before you got involved (some of which you may well have since disagreed with!) – you are now being treated as the company expert and ‘go-to’ person for all things data protection. 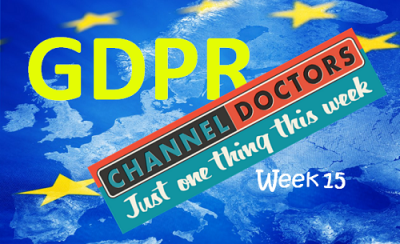 As I assume you have plenty else to be getting on with in your own world of the Customer, then you probably don’t want to become the GDPR guide for everyone else. GDPR Week #17 – What’s black & white and never read? What’s black and white and never read? Your Privacy Statement, that’s what! 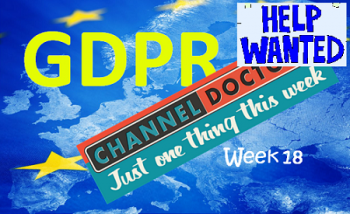 As you’ll know, one of the key requirements of the GDPR and the new Data Protection Act is that organisations keep their prospects and customers (‘Data Subjects’, in legalese) informed. In fact, the first of the 8 Rights listed by the ICO is this one; the Right to be Informed. An organisation’s Privacy Statement or Notice is typically the best way for an organisation to explain how it will process data. Traditionally, from a customer experience perspective, the Privacy Statement has been irrelevant. They’re lengthy (on average over 2,500 words – though iTunes’ peaked at 20,000 words in 2015) and no-one reads them. But in future people increasingly will. And if it’s not your prospects and customers reviewing your Privacy Statement, then rivals and and a growing band of people looking to make a living out of challenging brands’ data privacy compliance will! 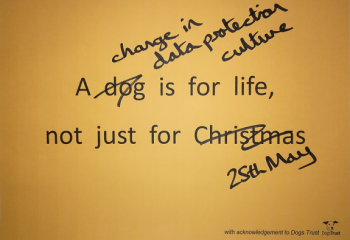 If you’re grappling with ensuring your organisation comes to terms with the customer experience-related requirements of the GDPR and new Data Protection Act and have been following the advice in these weekly blogs, then by now you have probably had lots of conversations, filled a few white boards and even changed some processes and customer journeys. In simple terms it requires that you support and allow the easy transfer of the personal data you hold on a data subject to a new service or product provider on their instruction. This right has generally got less coverage in the lead up to the implementation of the GDPR and new Data Protection Act than two other closely related rights – to Erasure (to be forgotten) and the right to Access (Subject Access Requests). The Right to Erasure is one of the 8 key rights for data subjects enshrined in the GDPR and the Data Protection Bill (www.ico.org.uk/for-organisations/guide-to-the-general-data-protection-regulation-gdpr/individual-rights/right-to-erasure/). If you are responsible for ensuring both data protection compliance and a good customer experience, then how to manage the right to erasure – more commonly referred to as the right to be forgotten – needs to be high up on your list of GDPR challenges to address.